Safety signs are one of the easiest and most effective ways of reducing accidents in the workplace. 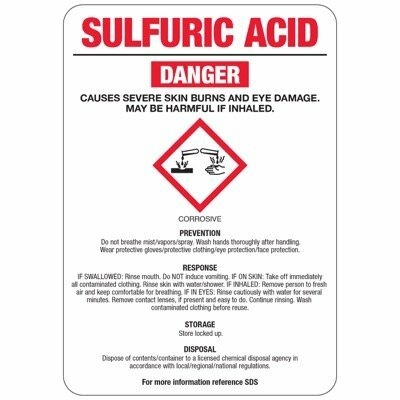 When hazardous chemicals, such as acids, are present in the workplace, safety warnings are needed to help ensure the safety of employees. 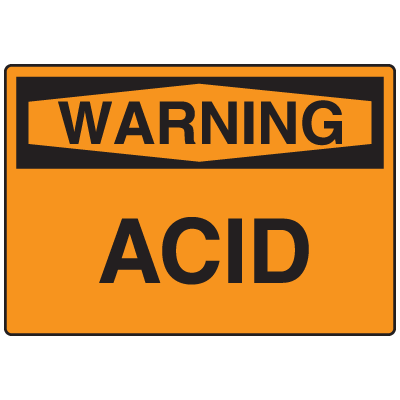 Acid, in its various forms, is a chemical material that is highly dangerous to human tissue, enough to cause chemical burns, respiratory difficulties and fire hazards. 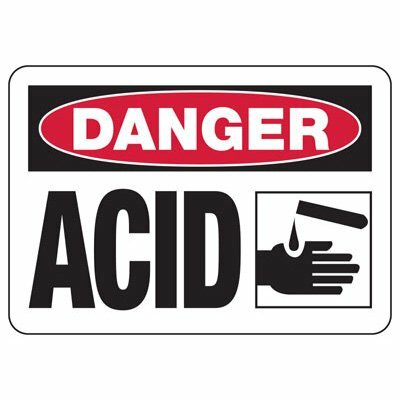 Warn visitors and staff immediately about any acid hazards in the workplace with Seton’s Acid Signs. Install safety warnings in the area and reduce the risk of injury and property damage. Warning signs can go a long way toward notifying people and helping them to take the necessary precautions to keep themselves and others safe. A lot of industrial plants across the country make use of acids as part of their daily work processes. 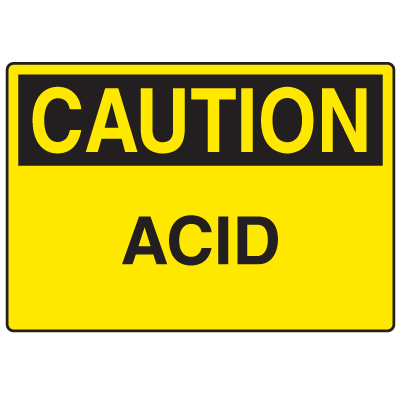 Unfortunately, acids are highly dangerous to human tissue. 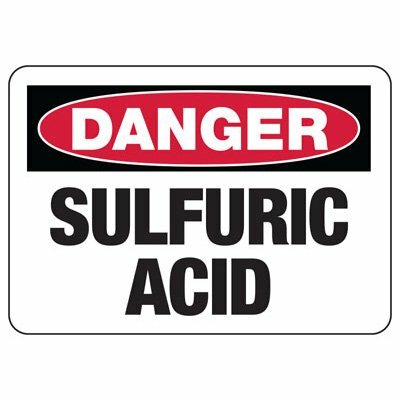 Because they are corrosive, coming into contact with concentrated acids can cause serious chemical burns. 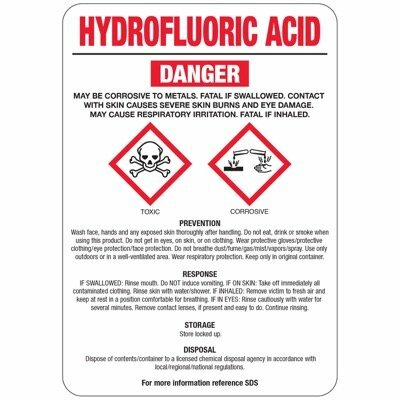 Not only do they cause immediate pain and tissue damage, but hydrofluoric acids can rapidly penetrate through the skin, resulting in bone and internal organ damage. 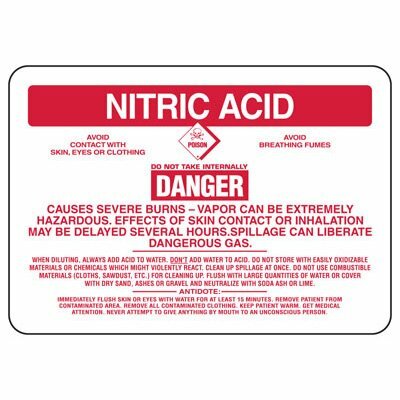 If your facility also makes use of acids, make sure that your employees always take precaution when handling these materials. 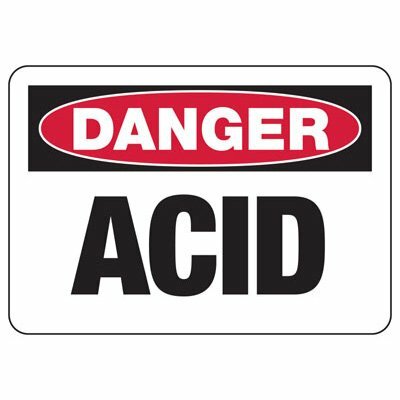 Remind them by installing Seton’s Acid Signs in the workplace. 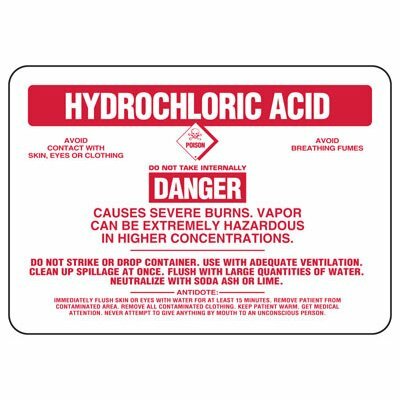 Many acids are also highly toxic when inhaled. At the very least, they can irritate nose, throat and lungs, while more serious cases can lead to pulmonary edema. This is a life-threatening condition wherein fluid accumulates in the lungs, obstructing oxygen flow to the bloodstream. 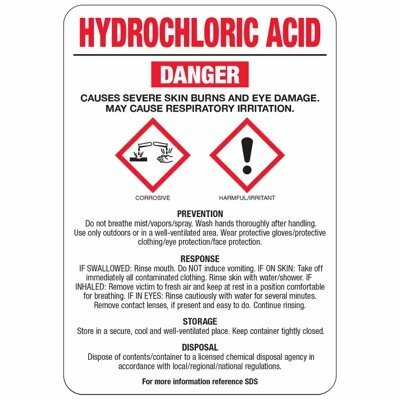 Because of this, employees should be aware of how to handle acids safely. 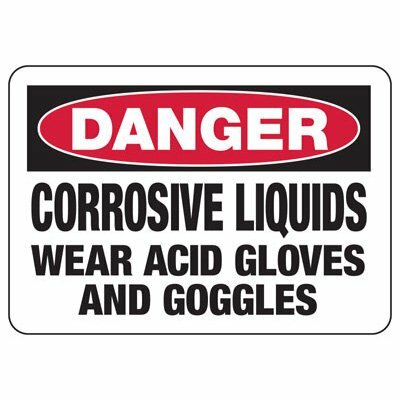 Safety signs reminding workers to wear proper protective clothing should be installed around your facility. Furthermore, workers should also be aware of the proper methods for using, storing and disposing these chemicals, as well as how to deal with potentials spills or other forms of exposure. 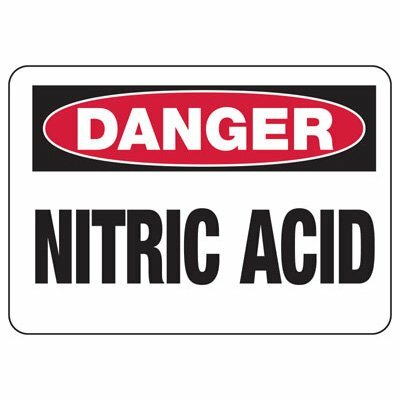 Make sure to keep your employees notified of any acidic materials they may encounter in the workplace. 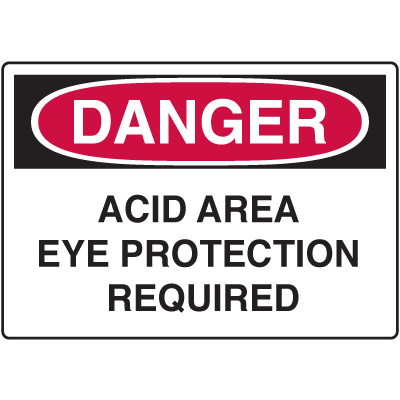 Choose from Seton’s selection of Acid Signs to meet your facility’s needs.